24-year old Malcolm Butler made a brilliant play to seal a victory for the Patriots in Super Bowl 49* on Sunday. Instead of simply celebrating this young man’s exceptional effort and the Patriots remarkable achievement, armchair offensive coordinators across the country took Twitter, Facebook and the water cooler to crucify Pete Carroll and Darrell Bevell for what they view as insane football sacrilege. Of course, this isn’t surprising — this is the same hivemind football fan base that spent the two weeks leading up to Phoenix’s Super Bowl with their collective undies in a bunch whilst bickering over the ethical implications of Tom Brady’s underinflated (foot)balls. While the deluge of retrospective outrage from football fans ain’t a shock given how dramatic the game was, it’s annoying because it’s based largely on emotion and misguided logic. 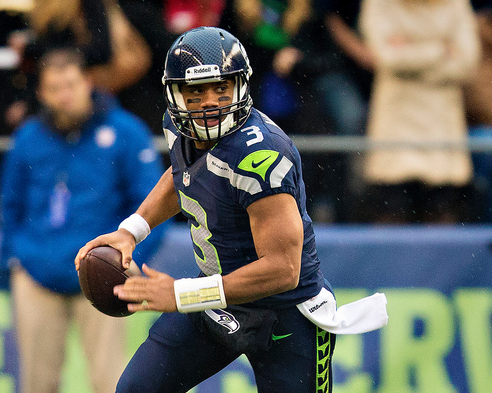 Reason #1 – Russell Wilson rarely throws interceptions, and Marshawn Lynch is not fumble proof. In 1,454 career regular and postseason pass attempts, Russell Wilson has thrown just 32 interceptions, giving him a 2.20% chance of throwing a pick on any given pass attempt based on prior probability. In 2,459 total touches (rushes and receptions) during the regular and postseason, Marshawn Lynch has fumbled 30 times, giving him a 1.22% chance of fumbling on any given carry based on prior probability. So, according to the data, a Wilson pass is only 0.98% more likely to lead to a turnover than compared to Lynch run. I’ve not heard one single commentator bring up the fact that Lynch might have fumbled. It’s obviously not likely given the stats, but it’s not that much more unlikely than a Wilson interception according to the hard data… especially when the Patriots would be trying everything possible (punching, biting, etc.) to strip the ball from Lynch. 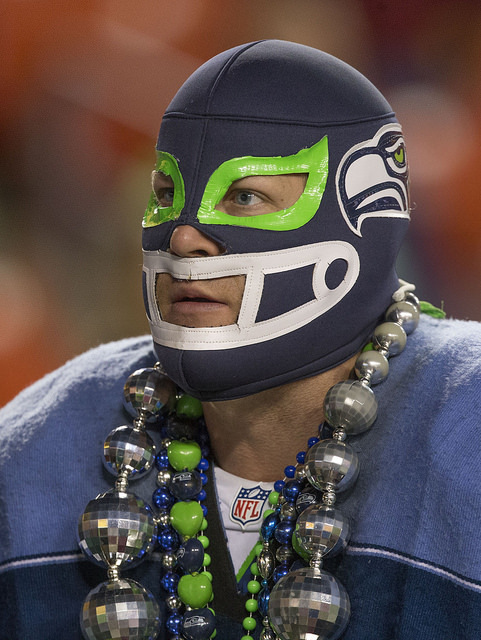 Reason #2 – Marshawn Lynch was not guaranteed to score. Critics seem to assume that, if handed the ball, Marshawn Lynch would, not only not fumble, but automatically score as if the Seahawks had some sort of magical “Get Into The Endzone Free” card up their navy blue and neon green sleeve. However, scoring goal line touchdowns in the Super Bowl is hard, and the statistics indicate Beast Mode is more human than his nickname might indicate when faced with short yardage situations. In plays from scrimmage at the opposing team’s one yard line — the exact situation the Seahawks faced on Sunday night, Marshawn Lynch scored just once in five attempts (20%) in 2014, and on just five out of 12 tries (41.7%) over the course of the last three seasons. It was the Super Bowl for the Patriots defense, too. Whatever extra oomph Lynch would have been able to muster on that play would have been reciprocated by Vince Wilfork and the New England defensive front. Reason #3 – A large part of effective play-calling in football is calling plays your opponent doesn’t expect. You are supposed to call plays the defense doesn’t expect! Nobody seemed to be complaining two weeks ago when the Seahawks called a(n unexpected) fake field goal that went for a touchdown during their comeback win against the Packers in the NFC Championship. 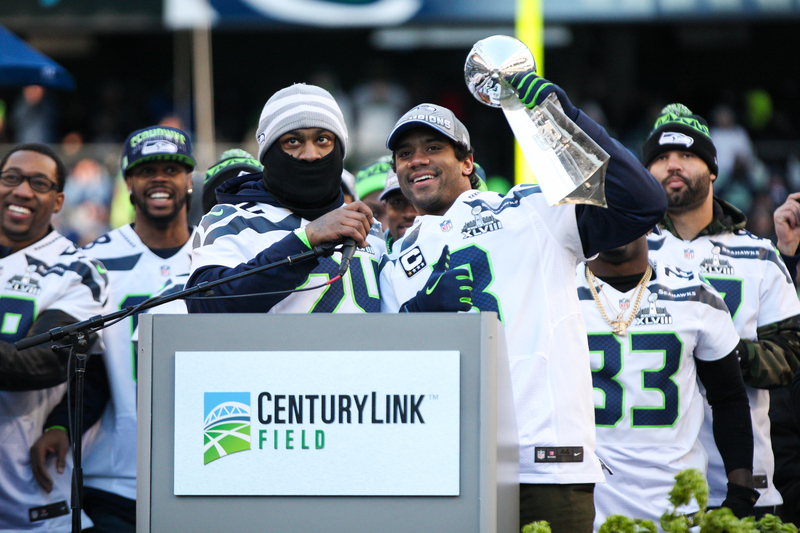 And no one was a naysayer when, just a couple minutes earlier in the 4th quarter of Super Bowl 49, Russell Wilson threw an (unexpected) over-the-shoulder ball down the sideline to his streaking running back Marshawn Lynch for a 31-yard gain. Both of these plays were highly unconventional. And they both worked for big plays only because NO ONE saw them coming. Sometimes calling a pass when everyone is thinking you’re going to run is a very prudent choice. Reason #4 – Malcolm Butler just made an exceptional play. Period. Other than an awesome coach like Pete Carroll taking silly criticism from rubes across the country, the most unfortunate aspect of the coverage is what is not being covered. Malcolm Butler made an incredible play! He gambled big by jumping the route, blew up the receiver, and made a difficult catch — all in the most critical moments of the most watched football game in TV history. Russell Wilson’s throw wasn’t even that bad. Butler just made a lightning-quick, split-second, once-in-a-lifetime play that will never be fully appreciated due to the distractions revolving around this latest fake “controversy” in the NFL. 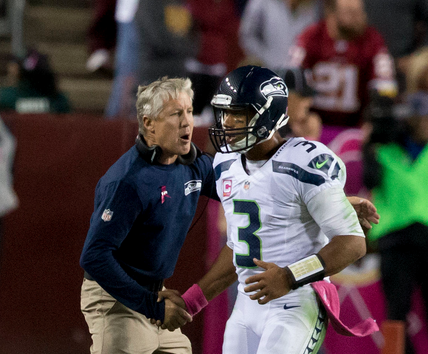 Reason #5 – If the pass was incomplete, the clock stops without the Seahawks needing to take a timeout. 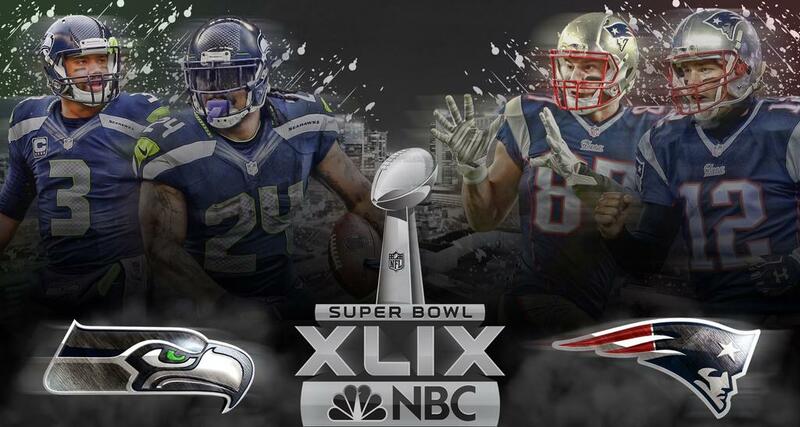 The Seahawks snap the ball on the Patriot’s 1-yard line with 26 seconds left and just one timeout remaining. If they run and do not score a touchdown, then they must take their final timeout with around 20 seconds left. Facing 3rd down with only 20 seconds remaining, the Seahawks would be forced to call a pass play since a failed run would very likely cause the clock to expire before a 4th down snap was even possible. Instead, by calling a pass play on 2nd down, the Seahawks preserved their timeout, ensuring they could call two additional plays on 3rd and 4th, without being forced into a passing situation by the waning clock. Barring a highly improbable event (like a turnover), passing on 2nd down was arguably a superior play call strategically, as it allowed the Seahawks to have the guaranteed maximum of three plays without tipping their hand to the Patriots as to whether each play would be a run or a pass. Reason #6 – Hindsight bias is stronger than you realize. No matter how a game turns out, and no matter what the hard data says about the prior probabilities of theoretical outcomes, some large percentage of the self-proclaimed football experts in the world will always claim the coach obviously made the wrong call due to the hindsight bias. If the Seahawks just fed the ball to the Marshawn “Automatic Touchdown” Lynch — as the masses now indicated they obviously “should have”— and he had been stopped for a loss on two consecutive plays, then we would have had to hear Trent Dilfer drone on about how Seattle should have thrown the ball since everyone was expecting the run and Vince Wilfork is an elite run stopper. Instead, an interception happened, and the human brain just so happens to have evolved in such a way that it now feels pretty damned obvious to every football fan in America that “OF COURSE that was going to happen!” when you anger the orthodox football gods by not handing the ball off.